Duncan Senkumba is an illustrator and animator from Uganda who pays particular attention to local subjects. Here, we’re sharing an animation he made that brings to life what it feels like to navigate a taxi rank in Uganda – all the sights, sounds and colours. As South Africans, if we’ve spent any time at local taxi ranks, we can very quickly see both the similarities and differences. Amazing work! This entry was posted in Illustration and tagged animation, Duncan Senkuma, Illustration on November 30, 2016 by stellenboschacademy. Sy Black is a designer and illustrator from London who now plies his trade in Canada. We’ve shared some of his awesome 3D character designs here – using the fun, cartoonish style we are used to but with African and black characters. What we especially love about Black’s style is the way he his able to capture the personality of his characters, using just illustration, clothing and poses. To see more of his work, check out his instagram page here. This entry was posted in Illustration and tagged 3D, Character Design, Illustration on November 28, 2016 by stellenboschacademy. This work by lg2boutique takes the category of craft beer (something we’ve featured many times on this blog) and turns it on its head. Craft beer is always a good place to look for great design, because people are willing to take more risks. There’s more room to try something a little bit out there. Which is exactly why this packaging stood out to us. Rather than being over the top, this design is all about radical restraint and minimalism. With a minimal colour palette and the utmost simplicity, this design creates enormous impact. Building from the fact that this beer has strong citrus notes, we see how this translates into a perfect answer to the question of striking packaging. It is not always necessary to be over the top and exuberant – sometimes less truly is more! This entry was posted in Design and tagged craft beer, Design, Farnham Ale, Packaging on November 25, 2016 by stellenboschacademy. We recently held our annual showcase event, where all our students get the chance to show everyone the incredible work they’ve done throughout the year. We had attendees from family and friends through to other educational institutions and industry and the feedback so far has been very positive – so well done everyone! This truly has been an incredible year for us at The Academy. We’ve selected just a few pictures here of the exhibition to show you the amazing quality of the work our students have produced this year. Stay tuned on our social media platforms to see more. Catch us on Facebook here. 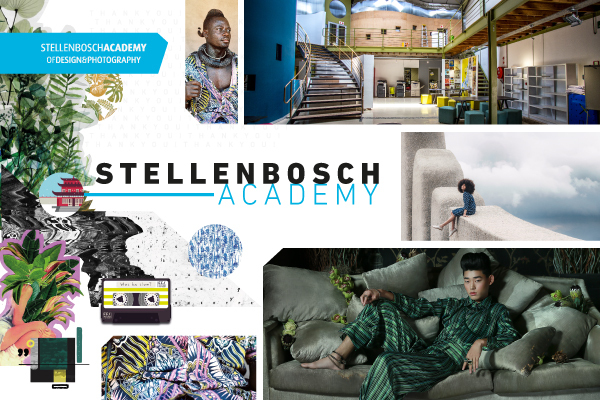 This entry was posted in Academy Work and tagged 2016, Gradex, Stellenbosch Academy on November 24, 2016 by stellenboschacademy. We love this campaign by BBDO New York for Havana Club rum. Through some smart art direction, this campaign brings to life the golden age of rum – when life was just a little more glamorous and exciting (or so we’d like to tell ourselves). We’ve got beautiful type, great illustrations and fun copy all working together to make for a campaign you can’t help but spend time drooling over. Havana Club’s line: The golden age aged well is so fitting – perfect synergy between brand promise and art direction here! And while this campaign is fun to look at and admire, we imagine it was incredibly fun to put together too. Great stuff! This entry was posted in Art Direction, Design, Illustration and tagged Art Direction, Design, Havana Club, Illustration on November 23, 2016 by stellenboschacademy. Jim Mangan takes photographs of rally cars like you’ve never seen before. Here, he collaborated with renowned rally driver Ken Block to take some incredible shots (on 35mm no less!) of Ken doing what he does best – doing incredible things with his car. Take the time to appreciate how Mangan has managed to capture the sheer drama of this type of driving. The dust, the speed and the movement of the car through the desert are just so exciting! This entry was posted in Photography and tagged Cars, Jim Mangan, Landscape, Rally on November 21, 2016 by stellenboschacademy. In order to promote the new film Fantastic Beasts and Where to Find Them, set in the Harry Potter universe, Oblio designed an interactive map of 1920s New York where users can visit and interact with places visited in the movie. With 360 immersion, it really feels like you’re there! Too much fun! So if you’re a Harry Potter, and we’re willing to bet a fair number of you are, this is the first place you should be looking! This entry was posted in Multimedia and tagged Design, Fantastic Beasts and Where to Find them, Multimedia on November 18, 2016 by stellenboschacademy.